Wessex Cardiology provide a "Healthy Heart Screening" service. This involves a consultation with a consultant cardiologist, ECG, risk factor assessment including total cholesterol and subfraction analysis. Further investigations are tailored to individual needs and can include an exercise ECG test to assess the heart under physical stress, cardiac ultrasound examination (echocardiography) to look for structural abnormalities of the heart and associated structures. 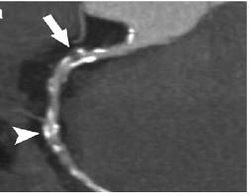 On occasions in may be recommended that a CT scan of the coronary arteries is necessary to evaluate the possibility of coronary artery disease. For further details, contact us. Spire Hospital also hosts a BUPA wellness facility for a more general health screening assessment. Are you worried you could have heart disease? Are you overweight? Are you unfit? Do you have diabetes? Do you have a high blood pressure? Do you have a high cholesterol? Do you smoke? Is there a family history of heart disease? If the answer to any of these is yes then you could have heart disease. There is a safe way to screen for heart disease using a CT scan. The results of this combined with a consultant cardiologist's opinion will reassure you everything has been done to minimise your risk from heart disease. If you have significant heart disease it can be treated early preventing further possible complications.